More people live with epilepsy than autism, spectrum disorders, Parkinson’s disease, multiple sclerosis and cerebral palsy combined. You can’t swallow your tongue during a seizure. It is physically impossible. You should never force something into the mouth of someone having a seizure. Don’t restrain someone having a seizure. Epilepsy is not contagious . 1 in 26 Americans will develop epilepsy in their lifetime.4An estimated 3 million Americans and 65 million people worldwide live with epilepsy. In 2/3 of patients diagnosed with epilepsy, the cause is unknown. Up to 50,000 deaths occur annually in the U.S. from status epilepticus (prolonged seizures). (SUDEP) and other seizure-related causes such as drowning and other accidents. SUDEP accounts for 34% of all sudden deaths in children. Epilepsy costs the U.S. approximately 15.5 billion each year. A seizure is a transient disruption of brain function due to abnormal and excessive electrical discharges in brain cells. Epilepsy is a disease of the brain that predisposes a person to excessive electrical discharges in the brain cell. It is diagnosed when 2 or more unprovoked seizures have occurred. It must be at least 2 unprovoked seizures more than 24 hours apart. About 14% have simple partial seizures. 36% have complex partial seizures. Seizures can be caused by head trauma, stokes, brain tumor and a brain infection. Causes are unknown in 60 to 70% of cases. The prevalence is 1% of the U.S. population. 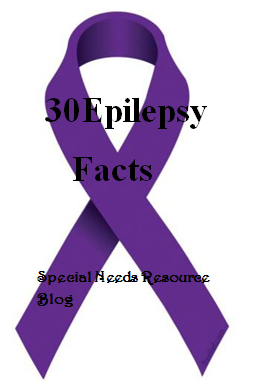 Approximately 2.2 to 3 million in the U.S. have seizures. It affects all ages, socioeconomic and racial groups. Incidents are higher in children and older adults. Almost 150,000 people in the U.S. develop epilepsy every year. No gender is likely to develop than others. 1/3 of individuals with autism spectrum disorders also have epilepsy. The prevalence of epilepsy in people with an intellectual disability is higher than the general population. This entry was posted in 6-22, Chidren/Teens, Children with Special Needs, Disability Awareness, Early Intervention, Epilepsy, Preschool, Seizure and tagged prevalence, seizures, statistics, tonic-clonic. Bookmark the permalink.